Corn chips came from its predecessor the tortilla chips. The tortilla chip was popularized by Rebecca Webb Carranza. It was a way to make use of misshapen tortillas rejected from the automated tortilla manufacturing machine that she and her husband used at their Mexican delicatessen. The discarded tortillas, cut into triangles and fried, were a popular snack. She decided to sell them for a dime a bag at the El Zarape Tortilla Factory. In 1994, Carranza received the Golden Tortilla award for her contribution to the Mexican food industry. Tortilla chips are now the quintessential appetizer in Mexican restaurants worldwide with their popularity outside of California rising dramatically in the late 1970s. As their fame rose, so came the corn chip, which is similar to the tortilla chip. The corn chip is made of cornmeal and has a curved shape. They are a popular snack food around the world, and are popular part of Mexican cuisine. Made from cornmeal they are most often friend but can also be baked. They usually have a small noodle or scoop shape, perfect for dipping in sauces! With a strong aroma and taste of roasted corn, corn chips also have salt as an enhancer. 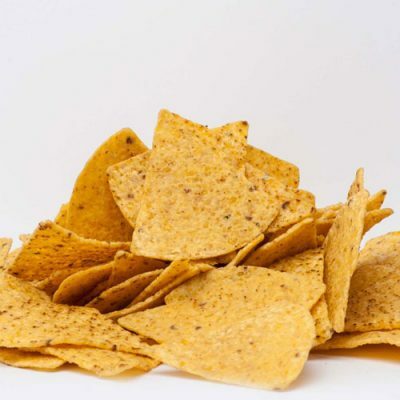 Corn chips are different to tortilla chips, with a milder flavour and aroma, and a less rigid texture. 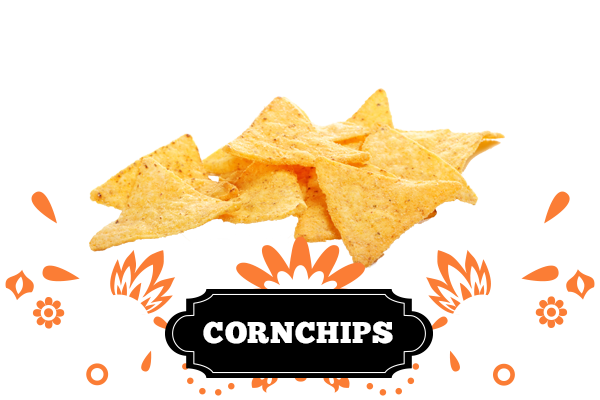 The corn chip can be used in a variety of ways – alone or with a dip. They are a common ingredient in Mexican dishes, especially the popular taco dish that is served in a variety of ways around the world. We have a variety of different shapes and sizes, ideal for your get-togethers or to have around the house as a quick delicious snack.. We advise that you understand we handle our chips as carefully and as best as we can, and we are not liable for any damage during shipping. Contact us if you need any more information!